I'm a 31-yr-old male. In 2006, I began facing daily anxiety, especially socially. I would feel stress in my chest every day. It was horrible. I saw a couple therapists to no avail. The anxiety lasted for over 4 years! After 2 years of daily anxiety & some depression, I began facing joint & tendon pain. It started in my elbows. Then shoulders. Then my entire body. It slowly got worse over time. I also eventually noticed fatigue. Today, I have the anxiety under much better control due to lifestyle changes. However, the joint pain & fatigue have only gotten worse over time. I feel like an old man. It's sad because I used to be a fitness model in my early 20s. Yet, today, washing dishes is a nightmare. Needless to say, I've seen countless doctors for my pain but haven't been diagnosed with anything. My vitamin D was low (22). 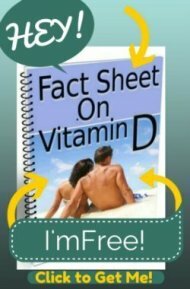 Once I began supplementing with vit D, BOOM, I felt major side effects (sweating, horrible anxiety & occasional muscle twitches). After researching, I've come to think I might be magnesium deficient. Mentally and emotionally, I'm in a great place these days. However, I'm physically in pain. I faced years of anxiety, which I know taxed my body. MY QUESTION: For a person who faced years of chronic anxiety but now has it under control, do you think magnesium is the underlying cause of the joint & tendon pain and fatigue?? While I agree with your assessment that you have magnesium deficiency, it's unlikely that it's going to be the magic bullet that you think it's going to be. Please read my page on Magnesium Dosage to start getting the right amount of magnesium. Since you are so young and have had problems for so long, it's almost certain that you have Gluten Sensitivity and it's resulting leaky gut syndrome and multiple nutritional deficiencies- including, but not limited to magnesium deficiency. In addition, if you grew up eating a 'Standard American Diet' and/or are still eating it, your health problems are likely in part due to the chronic ingestion and resulting problems from processed foods, sugar, trans-fats, vegetable oils, etc. 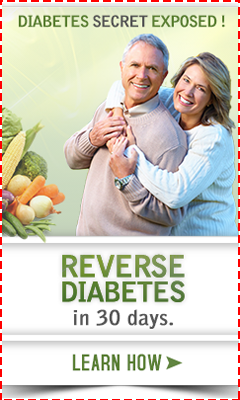 While I would LOVE to be able to tell you to just take magnesium and all will be better, it's likely that you'll need to take a multi-pronged approach to solve your problems, including changing your diet drastically. I'd encourage you to get on a HIGH QUALITY multi-vitamin and mineral pack such as Beyond Chelation Improved Multivitamin and Mineral Daily Packs to begin resolving your multiple nutritional deficiencies, and get the The Healthy Urban Kitchen to start getting your diet back on track and replacing gluten containing foods with the right foods that you should be eating. In addition, to learn about how to eat right the quickest and best way possible, I'd suggest taking a look at the Real Food Summit as this program will provide you with more comprehensive information about the proper way to eat than any other program will. It took me YEARS of research on my own to figure out exactly what they will tell you in the Real Food Summit. It's an impressive collection of knowledge that I wish I'd had found years ago. You might try eliminating refined sugars from your diet. I have sciatica and tendonitis in my shoulders, arms, wrists, and hands from 21 years of keyboarding. I've noticed a distinct connection between junk food and inflammation. I'm in much better condition physically...on a lot of days, pain free...since increasing daily exercise and avoiding junk foods containing refined sugar. I also tend to avoid fast foods. I know how debilitating chronic pain can be. I hope you give this a try. It shouldn't take that long for you to notice a difference.